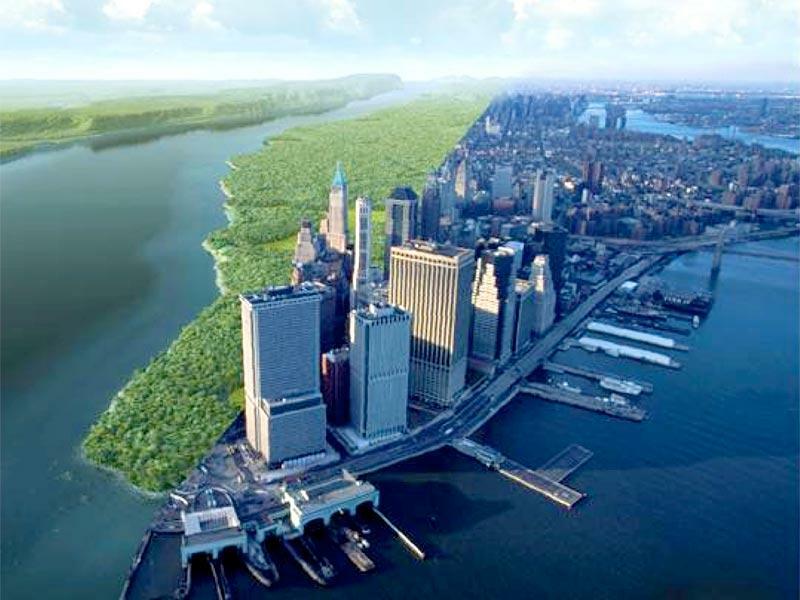 New York City has inhabited the island of Manhattan for nearly 400 years. The New School University Center just celebrated its first birthday. Have you ever stopped to think about what used to exist where The New School stands now? What about your East Village apartment, or even the Deli around the corner? While it can be easy to get caught up in the fast-paced, subway-commuter lifestyle of Manhattan, it is important to appreciate New York as a city built upon many layers of history, and to realize that these historic details of our city’s past are crucial in developing its future. It is this “layer cake of history” that Ben Vershbow, the director of New York Public Library Labs, and his team devote themselves to — and to discovering and reformatting that history in a way that is interactive, user-friendly and inspiring. NYPL Labs is reinventing the way we think of the public library and, through a variety of exciting projects, creating a framework others can use to build our community. One area NYPL Labs is particularly fascinated by is their map collection and the development of digitally interactive tools to turn old maps of New York City into relevant information the public can use today. For instance, contributors have used the “Map Warper” — developed in 2009 and getting a makeover later this year — not only to align myriad maps, but also to trace the outline of 150,000 building footprints on those historic maps. Those plotted buildings then become searchable entities. However, because this process is not fully automated and often requires a user to quality-check the data, it has proven to be a time-consuming “bottleneck” process. Thus, NYPL Labs has integrated creative crowd sourcing to aid in the work. “Building Inspector,” a related crowd-sourced mapping tool, aims to tap into the casual, spare time people spend on a daily basis surfing the web. It seems to have worked, as over one million classifications have already been produced. Through this community-driven directory, one will be able to look up historical locations, events, and people in context and “eventually enable augmented reality-type experiences.” By reaching out to historians, other institutions and the tech community, NYPL Labs hopes to build a framework others can work off of, essentially allowing historical information from maps, letters, pictures and more to be searched the way we search things today. The innovative projects underway in the NYPL Labs are part of a growing movement to bring our culture and history into the digital age. This movement has proven to be a great challenge — finding a way to present archived information in a way that is meaningful and accessible using technology. This is part of a larger enterprise known as “digital conservation,” which seeks to ensure that historical materials are digitized and conserved, and that born-digital materials will be retrievable in the future. Dragan Espenschied, a self-proclaimed Digital Conservator and Media Artist, shares Ben’s sentiment that the internet can be used as a tool for preserving endangered information. As the internet has become integrated more and more into our daily lives, it has begun to drastically change the way we interpret information. In 2011, Dragan helped develop a project called “Once Upon,” which displays the exponential evolution of internet browsers with each passing year. Internet browsers are perpetually being updated (ostensibly) to help us better filter and visually process the information we seek online. To further illustrate this evolution, he presented a tutorial of what it would be like to browse the internet in the present day using a Netscape browser from the 1990’s on an antiquated computer desktop. The browsing experience was less than ideal compared to what we expect from our current browsers; it was riddled with glitches and errors, and it loaded at a fraction of the speed we are used to today. Another one of Dragan’s projects, one that truly blends his two titles of Digital Conservator and Media Artist, was his Facebook spin-off. The spoof of the heavily used social media site demonstrated how users would have interacted on Facebook if it were established decades earlier. The Facebook spin-off is an enlightening example of how current trends, events and technological capabilities affect the way we interact and the language we use on social media. Today on Facebook, we establish the value of other users content by clicking a “Like” button. However, Dragan maintains that had the website been established before the boom of the digital age, we might likely use the term “Vote” to show our appreciation for a status or picture, as that was common language regarding internet participation. His project also demonstrated how different the format of a social media website would be, due to the drastic difference in internet browsers of the time. The true beauty of the internet is that the amount of information that can be accessed by a single user is unimaginably expansive, especially due to the fact that anyone with an internet connection can potentially contribute their own information. Dragan demonstrated this potential using the idea of “Digital Obscurity,” which is the act of a user encountering content on the internet that has previously gone entirely undiscovered. Dragan shared an example of Digital Obscurity by displaying a homemade computer game discovered by a friend on an archaic hard disk drive from the early 1990’s. This primitive game, titled “Bomb Iraq,” was little more than a digital flipbook, but nonetheless it was likely that it had previously only been seen by the original creator. This deeply intimate discovery is a prime example of how the internet can create connections that would have been impossible decades ago. It is clear that the internet has been used largely to help connect us with the world outside of our communities, but it also helps us connect more deeply with the ones we live in. Through Ben’s projects in the NYPL Labs, he proves that physical archives can provide great meaning and serve as a force for cultural enlightenment when merged with digital tools on the internet. These projects, linking the past and the future, demonstrate one possible vision of our libraries’ place in an ever-evolving digital culture — one that is still situated within an ever-expanding digital and analog past. Furthermore, digital conservation and the projects Dragan has undertaken are increasingly important as we take the internet into a new age of utilization. To study its development and ever-changing nature will be crucial in order to optimize the way we integrate the internet and other digital tools into our daily lives in our search for information — not to mention preserving the internet itself, as one of the key cultural productions of our time.